A new survey has found that houses in Cambridge sell faster than they do in any other part of the country. A house in Cambridge only takes 27 days to sell, in comparison to the UK average of 65 days. According to property site, Rightmove, houses in the Cambridge area are now selling 12 days faster than they were last spring. In London, regardless of the ever-increasing property prices, houses sell in an average of 41 days. Sales across the UK property market have increased a lot over the past year, with prices also increasing by around 10.5%. The average home in the capital will now set you back £492,000, in comparison to £262,000 across the rest of the country. Many property experts believe it’s not hard to see why Cambridge now has the hottest property market in the UK, with students setting up home there and many science and technology firms choosing it as a base - huge pharmaceutical company AstraZeneca recently promised to make Cambridge its global hub. The “AstraZeneca” factor is having a big impact on house sales in the area, as the city will soon not only play home to its new £330 million research centre, but also to all the staff that currently work in its London offices. The city of Cambridge also has a second £26 million train station planned, meaning that many of the houses for sale are selling above the asking price within a fortnight of being put on the market. After Cambridge, the next two fastest selling areas are Lewisham and Sutton – both boroughs of London. The two slowest areas for house sales are Powys in mid Wales, where it takes around 113 days to sell a house, and Gwnedd in northwest Wales, where it takes approximately 112 days. “This new data shows just how different the pace of the housing market is at a very local level, and clearly displays that speed is key for both buyers and sellers. The average house price in Cambridge is now £419,000 – a 20% jump over the last year according to research carried out by Nationwide building society. The city is also attracting overseas buyers thanks to its new international status, with big spenders from Japan and Hong Kong deciding to invest in the area rather than London. 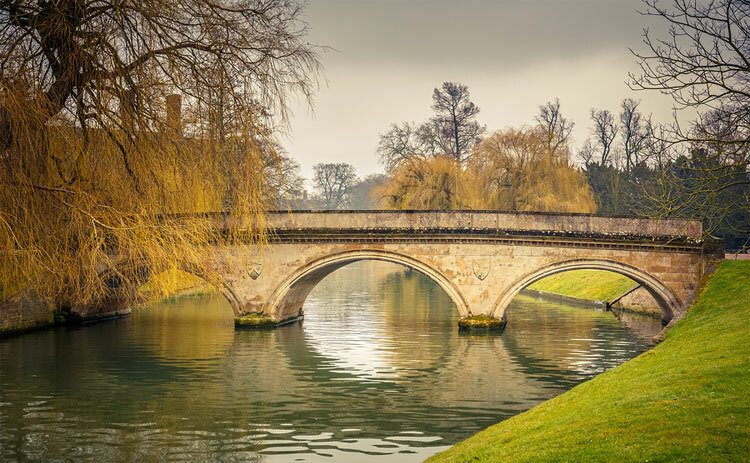 Cambridge has always been seen as a great place to live, with a great university and lots of businesses investing in the area, but with these new developments being put into place, the property market is likely to keep moving at a faster pace. The demand for houses in Cambridge is likely to keep pushing the property prices up, which is not a good thing for students looking to stay in the area once they graduate. New houses are being built in the city though, especially in areas such as Trumpington Mews, but students may now be forced to look slightly further afield when it comes to renting a property.